The benefits of chia without the seeds! 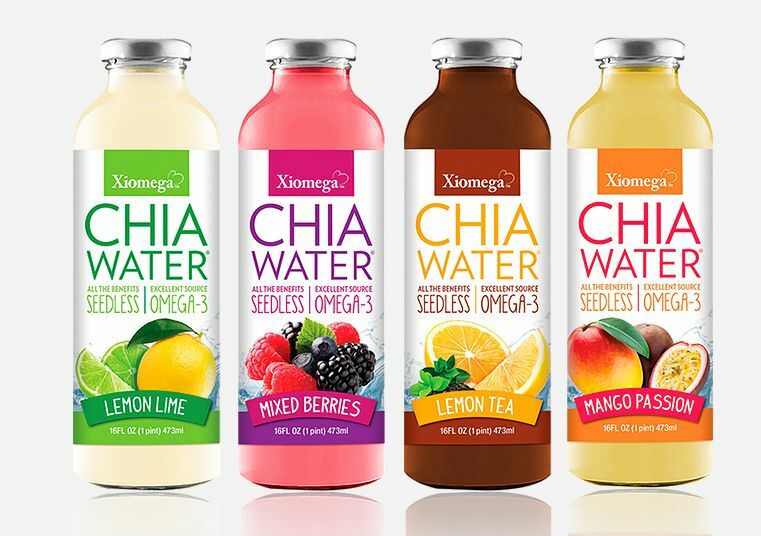 Good news, the smart folks at Xiomega have developed a special process to extract all the healthy stuff in chia seeds and put it in their Chia Water. Just think, loads of omega-3 fatty acids, antioxidants, calcium, fiber, and B vitamins but no annoying seeds that get stuck in your teeth. How great is that?! Choose from 4 tasty flavors: Lemon Lime, Mixed Berries, Lemon Tea, and Mango Passion (our favorite!). Each serving has 60-65 calories, 2g of fiber, and no artificial colors, sugar, or flavors. Available at Sprout’s Farmers Market, Stater Bros, Raley’s Supermarkets, and some Sam’s Clubs. A healthy, all natural drink bursting with flavor.